The hole in the ozone layer is the second smallest in twenty years, data from NASA and NOAA shows, but it’s not all good news. In fact, it could signal things taking a turn for the worst. Warmer air temperatures high above the Antarctic led to the hole shrinking, now covering an area of about 17.9 million square kilometers. The ozone layer protects all life on Earth, filtering 97–99% of the Sun’s harmful medium-frequency ultraviolet light. 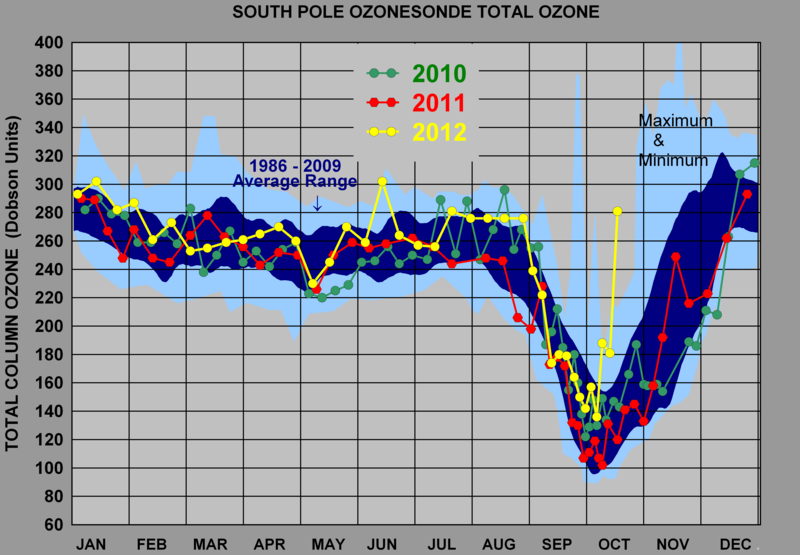 The ozone density also seems to be growing higher and higher, which is also caused by the warming of the area; if this is indeed the case, this improvement won’t last and things will get worse in the near future. The hole in the ozone layer was first observed in the early 1980s, and it was caused by chlorine emissions created by human activity; chlorine can break down ozone molecules very quickly. When the ozone layer hit its maximum, it was bigger than the US, Canada and Mexico combined.